Earlier this month, at CP+, DPReview got its hands on the Sigma MC-21 adapters, a pair of adapters that allow either Sigma's SA- or Canon EF-mount lenses to be used on L-mount cameras. At the time we weren't given details on pricing or availability, but today that changes. Sigma has announced the Sigma MC-21 SA-L and EF-L adapters will be available starting April 2019 for a cost of $169 USD and $249 USD, respectively. 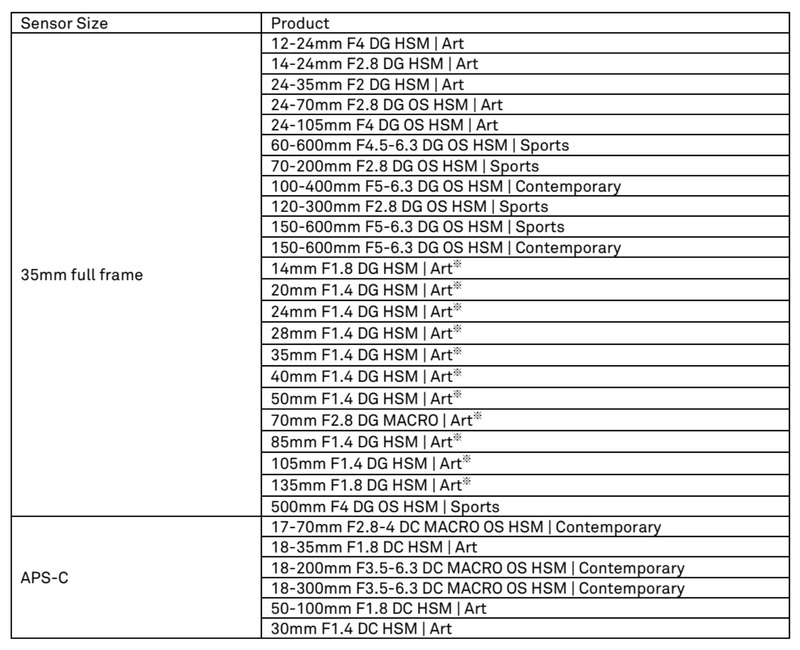 A full list of the Sigma lenses supported by the SA- and EF-mount lens adapter. Sigma also confirms that data pre-loaded on the MC-21 adapters ensures autofocus and aperture control have been optimized for the supported lenses and says future lenses will hold the required data in the lens itself, meaning no firmware updates will be needed. 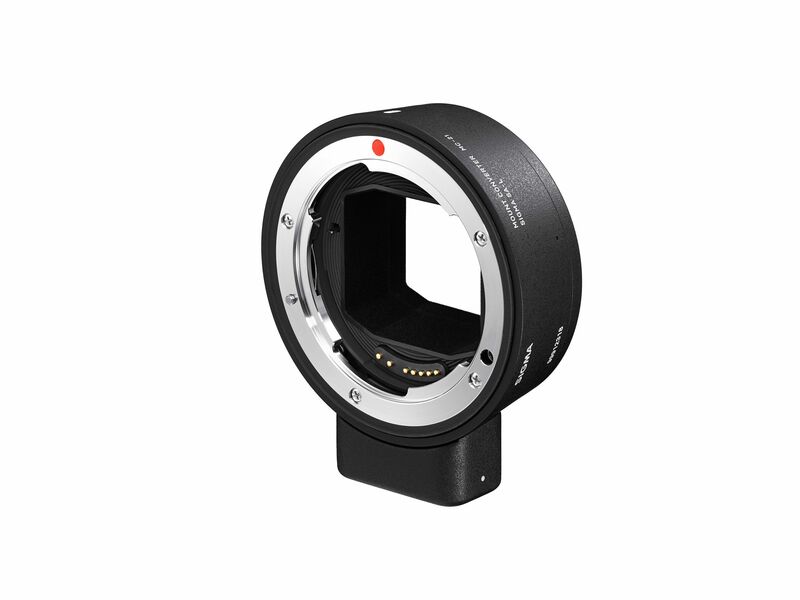 The MC-21 adapters also support EXIF data transfer and various in-camera correction functions including chromatic aberration, peripheral illumination, magnification and distortion. Additional features include an integrated tripod socket for mounting larger lenses without tripod support and an internal flocking that's used to reduce internal reflections. Update (March 29, 2019): Additional details regarding the MC-21's compatibility with existing L-mount camera bodies has been added after clarifying a discrepancy in Sigma's material. This news sounds more outdated than 2016 when MC-11 was first released for Sony. I'm much more interested in the Sigma SA mount for the Sigma full frame (hopefully early next year) as both the Panasonic and the Leica are over priced IMHO. What's the point of the alliance again? "3- Most Leica lenses don't cover the Panasonc sensor and the ones that do don't support the Panasonic DFD AF technology "
What's this all about then? I haven't seen anything out there about it - could you provide a link? Leica glass won't have DFD, as that will only be present with Panasonic lenses. Well of course the APS-C ones won't cover the full-frame sensor. This is exactly how Sony's E-mount works across their APS-C/full-frame range. Of course, but that's what OP was referencing. Good luck alliance, you're going to need it. I think it's sad that Sigma has made the SA-mount version of the MC-21 as expensive as it is, after making a statement about its price being about $89. Instead the price is about twice that much. That doesn't give me much confidence in the things Mr. Yamaki says. I am starting to question the future of L mount. I don't get a warm fuzzy feeling when I read statements like this: "When we announced the MC-21 on February 26th, 2019, we mentioned that it was compatible with cameras manufactured by Leica Camera AG. However, specification changed and it will not be compatible with Leica’s existing L-Mount cameras. We sincerely apologize for the inconvenience this situation may have caused." " . . . specification changed . . . " Huh?!? WTH? Does that give YOU confidence in the L-mount Alliance? In Japan the price of the SA-L version of Sigma MC-21 is one third of the price of the EF-L version. His issue is between a 2015 camera and a lens which released this month, so I'd say it's firmware teething. It's more likely that the protocols are being changed faster than firmware can be released to keep up with it. There was an interview with Leica in which they stated that there would be firmware updates in order to gain the compatibility. It may be that it's too much work making the old 2014-2017 hardware compatible. There were teething issues with AF etc when it was just Leica, yet now there are three companies - which means greater improvements, yet also requires more time to co-ordinate and propagate. Leica has limited resources for these older cameras, most of which are small APS-C models which are unlikely to be used primarily with large SLR lenses anyway, so it's a logical decision. The future L Mount Alliance cameras should work, though. It's early days; probably flux, teething, firmware etc for all three of them this year whilst upgrading the system optimally. That sounds like a cop-out to me. "The future L Mount Alliance cameras should work, though." REALLY? Do you think that's why Leica buyers pay so much money for their cameras? How abou when you read this? "When we announced the MC-21 on February 26th, 2019, we mentioned that it was compatible with cameras manufactured by Leica Camera AG. However, specification changed and it will not be compatible with Leica’s existing L-Mount cameras. We sincerely apologize for the inconvenience this situation may have caused." Does "specification changed" make a good excuse why Sigma won't make their adapter work? How can "all-of-a-sudden" the "specification changed" . . .?!? It seems to me like Mr. Reid just might have a better understanding of what's going on then many others. Sigma's Japanese announcement includes the following strange statement: "Although we announced on February 26th that MC-21 will be compatible with Leica cameras, the specification has been changed so that it cannot be used on current cameras sold by Leica. We apologize for your inconvenience." This is in contradiction from the announcement from Sigma USA, which probably means the USA office didn't get the message in time. I have no horse in this game, but I wonder what could be going on. This is a great news, AF with EF lenses .. wonderful! Currently am using Novoflex adapter from L to EF mount (made for leica cameras, so well build but expensive) which works very good except AF capabilities. Looking forward to get my hands on this EF-L adapter ..
As I got 5 EF lenses, from m4/3 times, and most of them are great at AF even on m4/3 cameras. Sigma announced that the adapter will not work on Leica cameras, but it would do on Panasonic, with restrictions. It is likely to work with L Mount Alliance Leica cameras when they release and have up to date firmware. The 2014-2017 Leicas pre-date the L Mount Alliance. Anyone remember the old Tamron/Vivitar/Soligor lenses where you would buy a lens "module" and a separate adapter for the camera you owned? Maybe there is a place for that these days. 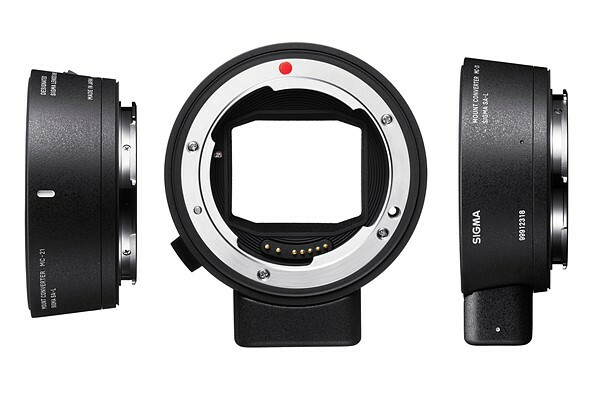 sony e-mount already has that covered, because those lens/adaptall-2 combos can be mounted onto e-mount adapters. there is some great adaptall-2 glass out there, if you like manual focus. Exactly, only modernized for AF, etc. So I buy a Sigma adaptor to mount a Canon lens onto a Panasonic camera? It is not the extra physical labor I am concerned about. It is the increased possibility of reduced functionality! @NOWHITELENS - "It is the increased possibility of reduced functionality!" How many Canon bodies offer stabilization of non-stabilized Canon lenses (ie, IBIS)? Being able to offer stabilization to non-stabilized Canon lenses is *increased* functionality. Ultimately, the whole point of these adapters is to allow Canon EF users more options when it comes to selecting a mirrorless body. They don't have to stick with a Canon body. They can get a Panasonic or Sony body as well. More options for Canon users! - Only AF-S works in Autofocus Mode. AF-C cannot be selected. - The Auto continuous operation cannot be used during video shooting. - Touch AF cannot be used. - With lenses incorporating MO (Manual Override), operation in manual mode is possible only after focusing. - MF guide is not available. - The image stabilization function inside the camera body and the lens cannot be used simultaneously. Please ensure only one of these is selected. - The AF Function Button and the Focus Preset Button incorporated on some lenses cannot be used. I use Manual focus anyways, so whatever AF functionality I will get is good. That should cover your whole list. Rest, am gonna get excellent 5 stop IBIS which am already enjoying even while filming. None of my lenses (Canon) got an IS so I can't be happier. Am getting brilliant Video functionalities (do I need to list them down here?) from Pany the video master! The VF and body is build like a tank, something I never appreciated before, but it makes mounting and carrying those bigger EF lenses so easy. I would say why not? If Canon lenses are so good and so is Pany bodies, why not? get the best of both worlds! -Image Stabilization, even my 50mm STM! All I can see is very good photos made by NOWHITELENS. Is it a problem of miscomunication and you're not talking about DFD that's in Panasonic camera, but some sort of DFD technology that's used somewhere else? At least you do see that Panasonic AF system in the S1/R is using Contrast detection, as said in the DPR. Imaging Resouce, Petapixel, Thom Hogan, Kai wong, Geralde, and every publication that exists about Photography, right? Or are you really claiming all these sources are incorrect and that you're the one that knows DFD isn't using CDAF? That would end the conversation for me. not one single word about specific compatibility with Panasonic proprietary dfd. why is it so difficult to get actual facts about this camera? Hm, if the camera specs do not mention 8k I take it that the camera does not support 8k. Same here - no mention of DfD => no support for DfD. no dfd means that it's cdaf-only, which would be even dumber than at least having the dfd option. now read the link to the Panasonic document, where it mentions "data pre-loaded in the mc-21 for each lens", which is exactly what dfd needs. so why can't these companies just come out and admit that it's dfd? because that would be a tacit admission that adapted lenses will have lousy af, since they would be used with cdaf-only. I think that sigma is trying to adapt dslr pdaf lenses to dfd here, but they are trying to hide that fact... which is why you never see "depth from defocus" or "dfd" in any of the articles. No. DfD is CDAF but it has a lookup table for each supported lens that describes the characteristic of OOF rendering that is then used to judge the difference from focus (similar to PDAF but works differently). Without DfD the lens racks focus until it overshoots and then converges to focus. With DfD the camera knows both direction and rough distance it needs to move the lens so it's fast enough for AF-C, at her price of lens "fluttering". I doubt DSLR designed lenses can keep up with requirements of fast small movements and that's why there's only AF-S. There's also data needed for corrections (chromatic aberrations, barrel/pincushion distortion, vignetting, etc) that is present in the lens in m43 for any manufacturer, but DfD still works only with Panasonic lenses (according to Panasonic). no, dfd is not cdaf. the fact that it says "depth from DEFOCUS" should have been the first clue. "DFD technology is a technology that calculates the direction and the amount to move the focus lens at a single movement by predicting it with 2 images that have different depth of field." cdaf uses contrast, not dof. these l-mount sigma lenses will be using dfd… sigma just won't come right out and admit it. But the GH5 has brilliant AF with non-DFD-compatible Olympus glass. Their CDAF system really isn't bad as long as you do Single shot AF. @MILC man, DFD actually *is* CDAF. CDAF with an overlaid technology to assist the lens motor to know where to move to get a good first guess focus. The only detection technology on the image is contrast detection, i.e. CDAF. I still doubt that the mention of "data pre-loaded in the MC-21 for each lens" is talking about DFD data, although it is not impossible, but more likely basic lens information like motor speed, aperture, maybe distortion and CA. dfd is *not* cdaf, it's hybid af. your claims are wrong, read the thread link, dfd uses bokeh data that is lens-specific... that is the data that must be loaded for every lens, in order for dfd to work. I know enough about DFD thank you, it is CDAF. It is not hybrid AF. The *only* technology that the cameras use to decide if the image is in focus is contrast detection. DFD is a background process that helps to speed up the CDAF process. If Panasonic are calling it Hybrid AF (not just you), then that is marketing spin. I have seen Panasonic refer to it as "Contrast Detect with DFD Technology", which is reasonable as it is saying the same as I am: DFD is a background technology operating on a Contrast Detect AF system. you refuse to even use the phrase "bokeh" in your posts, which indicates that something is wrong with your dfd claims. 1) Panasonic dfd requires lens-specific bokeh data, period. 2) cdaf does NOT require lens-specific bokeh data, period. 3) Panasonic stated: "predicting it with 2 images that have different depth of field."... dof is NOT cdaf. 2. a thing made by combining two different elements; a mixture. The standard auto-focusing methods currently used in point-and-shoot digital cameras are collectively called “depth from focus.” In the depth-from-focus method, the whole range of focus positions is scanned (from infinity to the closest possible distance). At each focus position, an image is taken, and a metric quantifying the sharpness of the region in the image on which the camera is to be focused is calculated. The focus position having the highest sharpness metric is then used for acquiring the still image. Some kind of gradient operator is usually employed to define the sharpness metric. The second class of auto-focus methods is collectively called “depth from defocus.” Unlike depth-from-focus, depth-from-defocus is not used in digital cameras, but is used in academic applications, such as optical measurement instruments or astrophysics. Depth from defocus is a method that estimates the depth map of a scene from a set of two or more images of the scene taken from the same point of view. The images are obtained by varying the camera parameters (typically the focus position, the zoom position, and/or the aperture size/iris). The information about the distance to the object is contained in the blur quantification of the defocused images. @MILC Man DFD is Contrast Detection. Why are you so determined to state otherwise and spread misinformation, it's not like you own Panasonic stock. DFD is a form of CDAF, that uses bokeh or the look of the out-of-focus areas of each specific lens in order to calculate which way to move. The focusing technology that moves the lens is contrast based, entirely, there isn't a single Phase Detection AF point on a Panasonic camera, just contrast detection points. This has implocations, it means Panasonic AF system is exceptionally accurate, like old-school DSLR liveview accuracy, if you get confirmation on a point, that point is in focus, more so than other systems, but it also means you get focus hunting, the fluffiness IS hunting, panasonic fanboys just don't call it hunting, but it is, and it's inevitable, the system solely relies on exceeding focus by a bit the backing up, meaning you get a tiny hunt with each lock, causing fluff and distracting C-AF process. DFD is a CDAF system. @eb - see how you refuse to acknowledge the dfd requirement to use bokeh and defocusing, that cdaf does NOT need. you are deliberately posting false information. @MILC man Where am I refusing to aknowledge that DFD requires bokeh & defocus information? I literally just said it right there, a few words back. And do you believe that since DFD requires something that conventional CDAF systems don't, makes it not CDAF? For anyone reading that's actually willing to accept new information: Not every CDAF is DFD, but every DFD is CDAF. DFD is a focusing system created by Panasonic, which tries to improve CDAF by using the look of the out of focus aread in an image, in order to make a rough first estimate about where and how much to go, and it's CDAF. @eb - no, you failed to acknowledge that cdaf does NOT need lens-specific bokeh information, among other things. "DFD is a form of CDAF" ...totally wrong, as the patent link that I posted proves... the term "contrast detect" is not used anywhere on the page. you've obviously been spending way too much time in the m4/3 echo chamber. What are you talking about? DFD is contrast detection AF. Panasonic aknowledges that, chris and jordan and Dpreview say that, and these panasonic cameras don't have the shadow banding issues of DR like the EOS R and Nikon Zs as they don't have phase detection pixels. Everyone in the m43s echo chamber knows the G9, GH5 and all panny camera use CDAF only, not phase detect. It's just a sophisticated form of CDAF that has a helping agent called DFD, helping the CDAF system fetch information on where to go and how far. @MILC_man: DFD is to CDAF as a turbocharger is to an internal combustion car engine (ICE). The turbocharger might need some extra data (sensors, readings, computation) -- but it is still an ICE engine. Just like DFD needs some extra data sets, but it is still CDAF. you people keep failing to address the facts in the patent link, which only proves that i'm right... dfd is hybrid af, period. The linked patent does not contain the word "hybrid". LOL. This is over. it's titled "depth from DEFOCUS", and it says absolutely nothing about cdaf, which is something that Panasonic did in association with dfd. you failed to acknowledge that cdaf does NOT need lens-specific bokeh information, among other things. @eb - "DFD is a form of CDAF" ...totally wrong, as the patent link that I posted proves... the term "contrast detect" is not used anywhere on the page. read the title of that patent: "Apparatus, method, and manufacture for iterative auto-focus using depth-from-DEFOCUS"
EDIt: Why the hell do we care where the technology is licensed from? So tell me. what do you say about the link I posted? Where Panasonic is saying it is CDAF? we care about about m4/3 echo chamber false claims like: "DFD is a focusing system created by Panasonic". admit your mistake there, and apologize for it. I already posted a link to your video, it does NOT say that dfd is cdaf… it says "contrast af with dfd technology"
1) Panasonic did NOT "invent" dfd. 2) we've seen no proof that dfd requires cdaf. 3) therefore the Panasonic af system that they call "dfd" is really a hybrid dfd/cdaf system that they released. I'll apologize for saying DFD is Panasonic's (even though they're the company that brought us products with DFD and it's their technology) when you apologize for saying DFD isn't contrast detection AF. I showed you Panasonic saying it. you did NOT show Panasonic saying anything, as I already proved by directly quoting that same video, that I had already posted to this thread days ago. for example, what part of: "contrast af with dfd technology" did you NOT understand, in your own re-posted link. dfd is NOT cdaf, and by the same token, it's not pdaf either. generating the first estimate based on the calculated maximum gradient of the portion of the first image and the calculated maximum gradient of the portion of the second image. That gradient - that's what you call contrast. This patent is using contrast. Second - Panasonic DfD, although named the same, does not work as described in this patent. The patent is lens agnostic and simply compares the gradients between pairs of images. Panasonic estimates direction and offset based on the "look" of OOF area (profiled for each lens) and in final stages used contrast to nail the focus. This is getting ridiculous. Goodbye. I am sorry is this a problem of miscomunication or something, and you're not talking about DFD that's in Panasonic cameras' but some sort of DFD technology that's used somewhere else? I am trying to reread the discussion trying to know what you meant, most likely scenario is that you mean DFD isn't CDAF as in it's not "conventional" CDAF and uses an extra algorithm? As in Turbo engines are not Internal Combustion engines as it they add something new? @otto k - "That gradient - that's what you call contrast." the patent clearly states: "The information about the distance to the object is contained in the blur quantification of the defocused images." and the second patent citation that's referenced is titled: "Focus detecting apparatus independent of object image contrast"
that is the ONLY reference for the word "contrast" in the entire patent document. @otto k - "Panasonic DfD, although named the same, does not work as described in this patent." finally someone gets something right, lol... Panasonic did NOT "invent" dfd, what they did was create a hybrid af system that uses both cdaf AND dfd… that is not just dfd, per se, it's named incorrectly. and Panasonic proprietary dfd will not work with adapted lenses, that can't supply any bokeh profile... it's a fail for adapted glass. @eb- "Panasonic AF system in the S1/R is using Contrast detection"
exactly... it is NOT using just dfd, it's a hybrid af system. because dfd itself does not appear to be based on contrast, contrary to your false claims out here. Calling it hybrid or your explanation is very confusing and none of us got it as you can see, as hybrid AF is an industry-standard term for Phase-detection when coupled with Contrast Detection. And again, Panasonic's DFD system in these S1/R cameras is based on CDAF, and aqcuires focus using Contrast detection, there is not a Phase detection pixel on the sensor, and yes no one claimed it's conventional CDAF, as it uses a system that aids and speed up CDAF, using bokeh information, yet still that doesn't make Panasonic's focus system not a CDAF one. As someone put it earlier, DFD is exactly like a supercharger in an internal combustion engine, it still is, as a system, an internal combustion engine, just a modified one using technological advancement. you can blame the confusion on false information coming out of the m4/3 echo chamber. 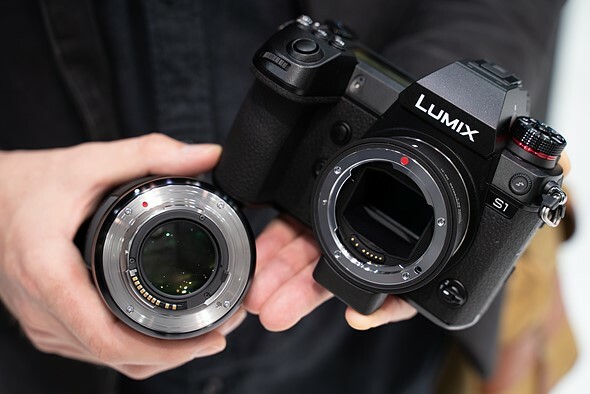 and Panasonic itself, for deliberately creating a proprietary af system that only works with Panasonic/l-mount lenses, with sigma hiding that fact in their own press releases. of course dpr has had multiple opportunities to clear this mess up, including in this article, but they haven't. Does this lens mount adapter work with any of my gear? 1) your lenses were designed to work with dslr pdaf. 2) these Panasonic cameras use proprietary depth from defocus, NOT pdaf. 3) with m4/3 gear, when non-Panasonic lenses are put on Panasonic bodies, there isn't any support for dfd, the camera reverts to cdaf only. 4) you really don't want to be using cdaf with those lenses, guaranteed. Wait for adapter to start shipping. In no time there will be a bunch of videos on YouTube testing the compatibility with any and all lenses. "the MC-21 in Sigma SA-L mount allows for Sigma SA mount lenses to be used on any L-Mount camera body. " "it (MC-21) will not be compatible with Leica’s existing L-Mount cameras." Something is incongruent. DPR, can you get an answer to this? Yea. 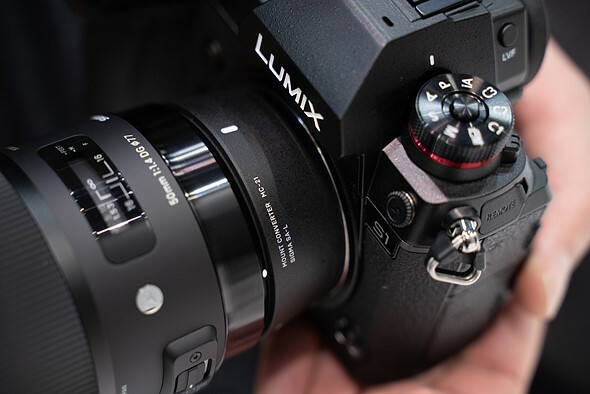 The press release mentions 'any L-mount camera body,' as you pointed out above, but on a separate news piece Sigma says it won't be able to work with existing Leica L-mount cameras due to changed specifications. It appears even Sigma was a little confused on this one. I have contacted Sigma for clarification and will update the article accordingly when I hear back. In the meantime I will remove that section of the press release contained within the article. @Tailings: Sigma has confirmed to us that the lens adapter won't work with existing Leica L-mount cameras and the article has been updated accordingly. Maybe also update the article with the list of limitations for supported lenses? Thanks Gannon. However, I was hoping for an actual explanation of the incapability. Is this an inherent limitation due to some ability to port the electronics to the Leica body through the adapter? Or does this represent a rift in the alliance, with each player now implementing the L-Mount in a slightly different fashion and thus they are no longer interchangeable? IIRC, they stated in an interview at Photokina, that changes had been made to the L-mount protocols. So there is likely a difference between camera bodies released before the alliance was formed and future bodies (and S1/R). @Tailings: The Sigma spokesperson didn't dive into the details of the incompatibility — they just pointed us to the updated wording that states it's a specification issue. I'll see if we can get a more detailed response. The distinction may now be between "L Mount body" and "L Mount Alliance body". Alliance. The existing SL (601), T (701), TL, TL2 and CL pre-date the L Mount Alliance so all the protocol upgrades that Sigma, Leica and Panasonic are co-ordinating together may have strayed too far from the older hardware. Something similar happened with the Novoflex adaptor, which stopped being compatible with the T (701) and then all the APS-C Leicas. It's disappointing for SL photographers who also have EF lenses, but it's unlikely that Leica T/TL/TL2/CL photographers would be primarily using the large EF lenses when Sigma and Leica have smaller L mount options, and new ones coming up next year. The advantage is that they are unconstrained by backwards compatibility in this area. Thanks for that clarification. Makes sense, though obviously they bought themselves a future of confusion by keeping the name the same while making significant changes. Time for Chris and Jordan to take the S1 & S1R production cameras out for a video shoot...... OK let Chris take a few snaps too and try the Sigma lens adapter. Could they use a bigger font for LUMIX on the front of that camera? Yes!, it appears there is room for that. So, was that all then? Will you be taking two? I was hoping the extra room was to write Panasonic. An adapter to put Canon mount third party lenses on a Panasonic camera, with resulting loss of feature?. This stuff is all getting a bit confusing for me, I’m sticking with my Dino-SLR and natives lenses. Why is it confusing? Do you have trouble putting a Hoya or B+W filter on a Canon lens? Also, you'd actually be *adding* a feature to Canon-mount lenses that you can't get with any Canon bodies: IBIS. IBIS in not a lens function, AF is. and you lose that. A filter is a piece of glass that screws on the front of your lens. Theres no electronic interface on either side, no functionality to hinder, and no firmware to update between the two. Thats not an apt comparison at all. Sigma’s long list of features that DON’T work can be found in this thread in a few places (including no IS on the lens side, no AF-C, no compatibly with some of the Leica cameras, etc.) Who knows what will be los tin the future. Its not like there aren’t a few systems with native lenses and IBIS. We've only recently received 'final' firmware and we're all in the middle of reviewing other cameras, so I'm afraid it'll take a while yet. Now push that bicycle out to the alley and gets some AF-C tests done, STAT! Can we have a review roadmap? Probably a stupid question, but does the EF mount adapter work with Canon's own EF lenses? I'm assuming no because they're not mentioned in the article. I'm guessing they will mount but the electronics may not work? Good question. The MC-11 for Sony supports EF lenses, but from what I have read the AF performance is not super predictable (sometimes better than metabones, sometimes worse). The added unknown is that Pana uses contrast detect while Sony uses phase detect. So we shouldn't expected MC-11 levels of performance, and this is confirmed by sigma who says that only AF-S is supported with these adapters. For the rest, user (betatester?) feedback will be required. > does the EF mount adapter work with Canon's own EF lenses? SIgma says "MC-21 allows for Canon EF mount lenses to be used on L-Mount camera bodies" and refers to certain Sigma's lenses that are built to conform to the Canon EF mount. Sigma does not want to make a broad claim that generally includes Canon's own EF lenses, but in practice (as in the case of MC-11 for Sony E mount, which I have tried), certain Canon's own EF lenses may work -- what remains to be verified for each lens is how fast, accurate and reliable the performance of various AF modes will be. "DE: Your coming L-mount cameras, yes. And the MC-11 works with any Canon lens pretty much, right? It's not just Sigma's Canon-mount lenses, it's Canon's also." "KY: We do not guarantee the compatibility." They test and incorporate lens profiles from the Sigma Global Vision series (i.e. ART, Sports, Contemporary), and technically they are the compatible lenses whether in Canon EF mount or Sigma SA mount. The earlier MC-11 adaptor is widely reported to work with non-Global Vision lenses, so it's likely that many will work. On the other hand, Sigma has control of both the lens and the mount in this instance, so the protocols could be more daring. Sigma tend to be conservative with their claims. Btw i have the feeling that Sigma will come up, sooner or later, with a new Foveon sensor maybe intended for an L-mount mirrorless camera. Yes they already talked about the Fullframe Foveon mirrorless camera scheduled to release in 2020. Well all L-mount bodies use contrast AF. These lenses simply were not made for that. That is why the MC-11 for Sony E-mount works better than the Sigma adapter above, since E-mount cameras have PDAF. And again I have to go into the comments to read up on the nitty gritty and understand the situation. Thank you Mistral! @paleodawg The TL3, CL2 and SL2/L should be part of the L Mount Alliance, though. The 2014 - 2017 L mount Leicas pre-date the L Mount Alliance and may lack sufficient hardware for all the upgrades that Leica, Sigma and Panasonic are co-ordinating. Sigma tends to be conservative with their claims, and the early stage of the L Mount Alliance makes it likely that there will be more dramatic changes while they're establishing everything. Where did you get the idea that DFD would work for those? "Well I don't think it will work. But these adapters are suggesting exactly that. None of the compatible lenses have modern fast AF drives"
They promise AF, i.e. CDAF, not DFD. DFD is a Panasonic feature, so as long as the camera recognises the lens and has it in the database then presumably it will work. However, we only know that the Sigma L mount lenses (ART primes and next year's new line) and Leica L mount lenses are profiled for DFD. Do we really know that Sigma and Leica L-mount lenses are profiled for DFD? As you said, DFD is a Panasonic feature, not a feature that is specific to the L-mount. 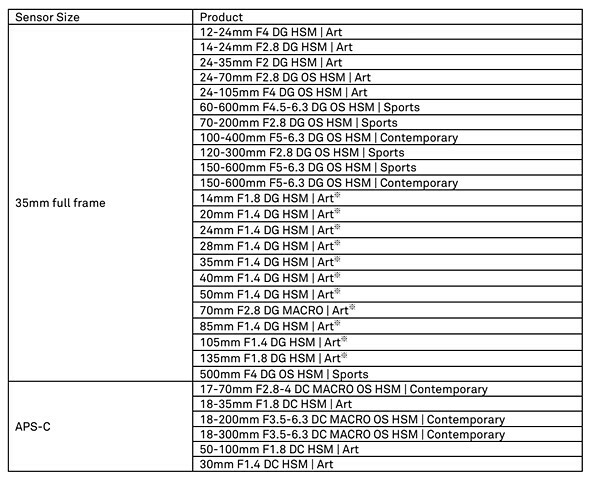 Panasonic has only profiled its own lenses for m4/3, not any lenses made by Olympus or other companies. So, when the L-mount alliance say that they will work together to ensure compatibility, does that include DFD? I think they should make an official statement that removes all uncertainty regarding this. As for whether this is part of their L mount protocols or an appendix to that I'm not sure. They have stated that they have a joint taskforce for co-ordinating and developing the protocols, and that it is a closer arrangement than, for instance, m4/3, and that they may also collaborate on additional projects and innovations. Though they also emphasise that they do not share product information etc due to competition laws. Interesting, he indeed confirmed that Leica and Sigma lenses will work with DFD (assuming the translation was correct). It would make sense for Panasonic to get DFD working right with the new set of L-mount lenses from Panasonic. Whether that actually happens or not will probably be part of what determines how popular the L-mount system becomes.